The Oslo ferries service many of the islands in the fjord. This is a guide to some of the best stopping points. If you’re enticed by a summer excursion in the fjord, the islands just outside of Oslo might just be the destination you need. Out there, you can have a picnic on a nice grassy spot, go swimming at a sandy beach or just soak up the warm sun on some smooth rocky slope at water’s edge. 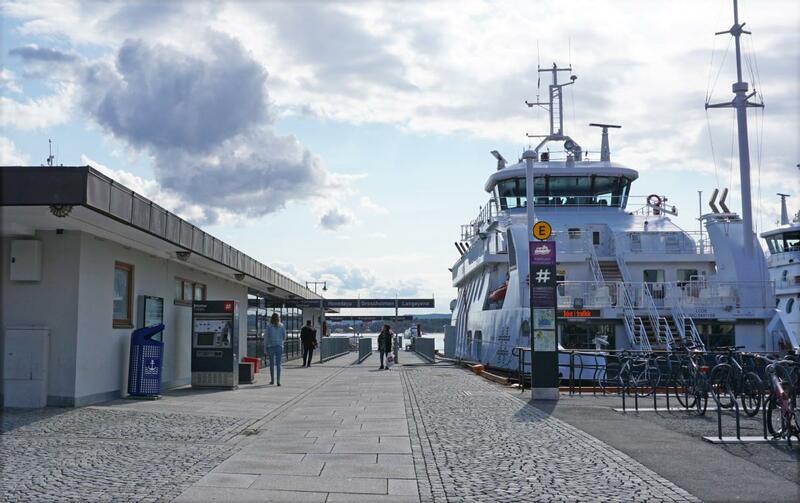 The Oslo ferries depart from Aker Brygge (wharf) and service a number of islands. Some are primarily holiday islands where facilities are only accessible to cottage owners with a key. Whereas other islands are popular for day visits, and it is info about this latter group you will find here. Nearest the Aker Brygge wharf lies Hovedøya Island, which is the first and last stop if you take the B1, B2 or B3 ferry routes. 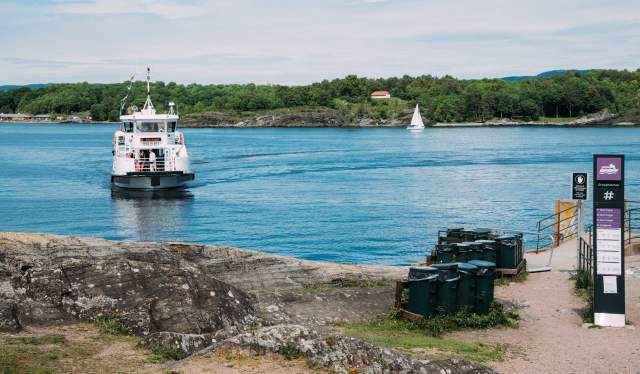 In other words, you can choose to stay on the ferry for a trip around the fjord, passing by numerous other islands, and then get off on Hovedøya on the return trip. If it’s a swim you are most keen on, you should head for the west side of the island where you will find two nice, large beaches. The large grassy area in the middle of the island is ideal for ball games, playing and other fun outdoor activities. 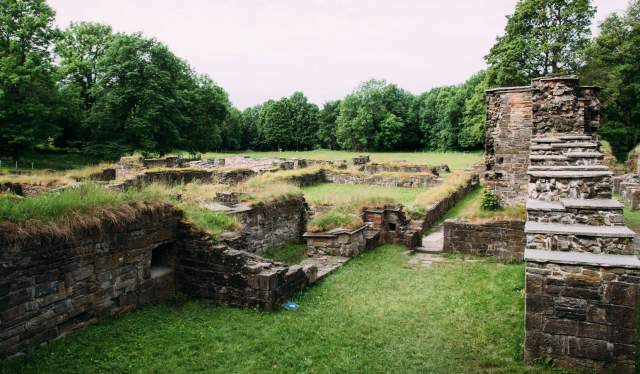 If you walk south from the ferry landing, you will come upon the ruins of the Cistercian Order monastery dating from 1147. In the same vicinity, you will also see traces of Norwegian military history. Two large gun emplacements dating from 1808 and two gunpowder depots remain from the period when the Norwegian Armed Forces used the island as a military facility. There are art exhibitions held in “Lavetthuset”, which is one of the former military buildings near the ferry landing. Klosterkroa is situated just near the old monastery ruins and is a kiosk and café that serves snacks and simple dishes in the summer. If you are good and hungry, there is an à la carte restaurant, Revierhavnen Kro, near the guest harbour to the north. Flowers, trees, animals, and anything else you might come across out there is protected, and parts of the island are actually a nature reserve. Sleeping in tents and lighting campfires is strictly prohibited out there, but you are allowed to “grill out” at grilling facilities or on gravel or sandy areas. Outdoor grills are located on the beach and at the grassy area. All four depart from Rådhusbrygge 4 (City Hall Pier 4). 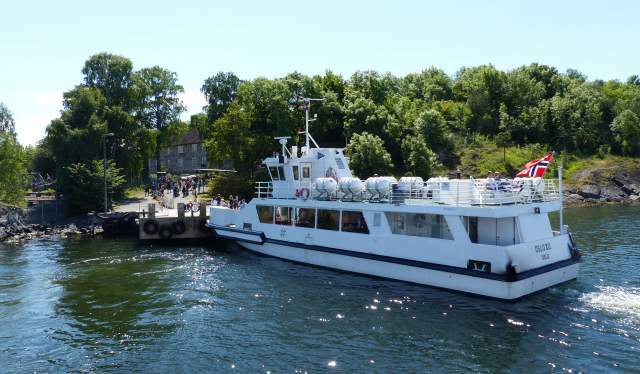 B4 is the only ferry going to Langøyene, however, there are departures every 30 minutes and all day long during the summer. Up until the 1950s, Langøyene consisted of two islands; North and South Langøy. The sound between them was then filled in, and there is now a large grassy area where there was once water. The beach is large, and there is also a beach for naturists on the southern tip of the island – for visitors who like to enjoy the summer without wearing a stitch. There are also football fields, sand volleyball courts and a kiosk for basic provisions. Nice walks, too. If one day is not enough, you can spend the night in a tent on North Langøy as long as you comply with applicable rules. The B1, B3 and B4 ferry routes stop by Gressholmen, which consists of three connected islands: Gressholmen, Rambergøya and Heggholmen. 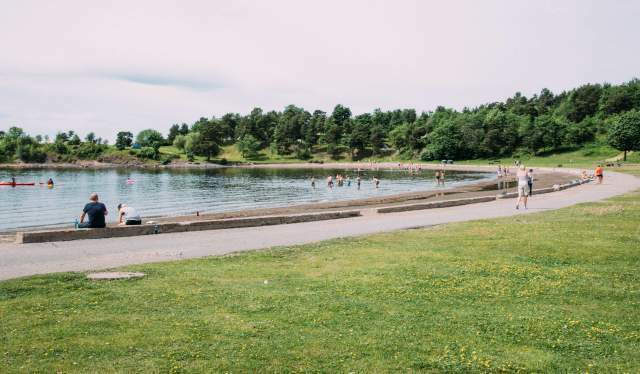 There are great swimming spots out there as well, and especially at the east of Gressholmen and south side of Rambergøya. 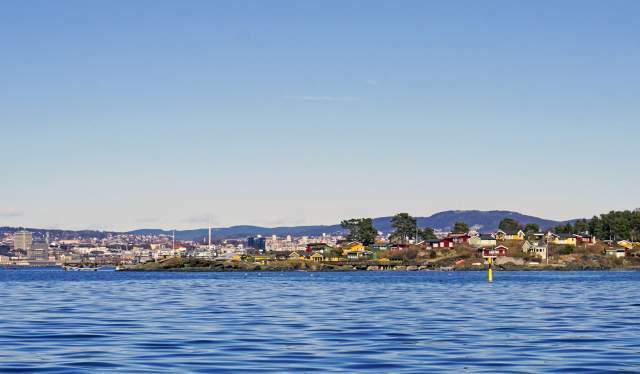 If you want to do some exploring, you can walk to Heggholmen Lighthouse, one of the oldest in inner Oslo Fjord. 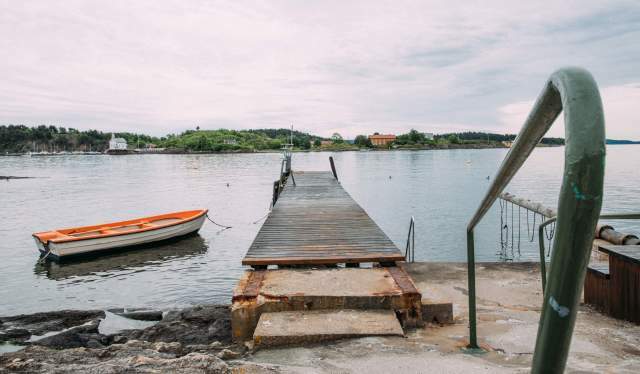 History enthusiasts will perhaps also want to look for traces of the little industrial community that existed on Gressholmen and dates from the end of the 1800s. This is also where Norway’s first main airport was established in 1927, and it maintained its status until Fornebu Airport assumed the role in 1939. Camping and/or lighting a fire are strictly prohibited on these islands, but you can grill on gravel or sandy areas. The B1, B2 and B3 ferry routes stop here. Although this island has around 300 red, yellow or green summer cottages, it is nonetheless possible to drop by for a day visit. There are two beaches with swimming platforms on the southwest side of the island, and there is both a small shop and football field in the middle of the island. There is a monument on a hill on the southeast side of Lindøya, which is Oslo’s own meridian, the Christiania Meridian, which facilitated an exact calculation of the city’s eastern longitude. On the southwest side, there is a swimming stadium dating from 1949, and swimming competitions are still held there. Near the east-side ferry landing called “Skytterbrygga”, there is a distinctive building called “Stamhuset”, which is an old inn from the 1700s. The northern part of Lindøya Island mostly consists of a nature reserve, and the flora and fauna is protected. You are not allowed to camp or light a fire anywhere on the island, but grilling is permitted on gravel or sand. The B1 and B3 ferry routes stop by Bleikøya, whereas B1 and B2 stop at Nakholmen. These islands are primarily for cottage owners. People who stay at their cabins in the summer take the ferry in to Oslo in the morning when going to work and back again in the afternoon. However, it is completely allowed for others to go ashore out there and take walks.